Apologies help you move past anger and opens the door to forgiveness, which allows everyone involved to move forward in life. Today it’s time to give your younger self a great big hug. 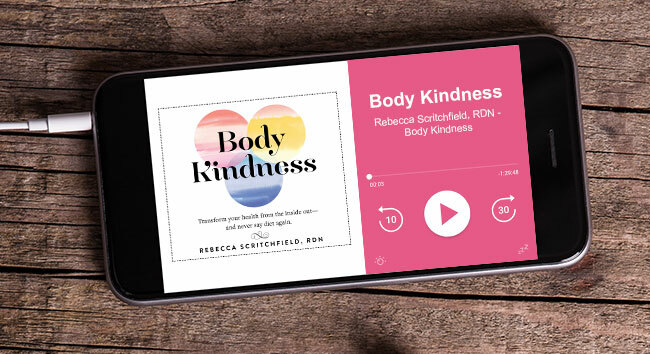 We’re talking about finally saying “I’m sorry” to your body, and how making peace with the past can help your Body Kindness practice. 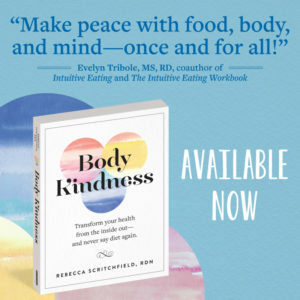 You don’t want to miss the shocking confession Bernie shared that he believes is a source of his struggle with body kindness in his life — and I chime in with my best words of support and encouragement. “A girl I know was innocently trying to do the right things. But instead she got it all twisted and became another victim of our society’s harsh judgment of females — we’re only good when we look great (or at least putting all our efforts in the pursuit)”. The way I lived wasn’t in the spirit of good health and only fueled my bad body image. Brick by brick I built my own little prison that stopped me fully experiencing life. Bernie says the essay touched him deeply and confessed that despite living near the beach he hasn’t been in the water for decades, due to feeling self-conscious of his body and fearing ridicule from others. I asked how he feels about his body these days. He says his Body Kindness work means he’s more nurturing but it hadn’t occurred to him to revisit the beach. I pointed out that he’s made a habit of avoiding situations where he feels body vulnerability. It starts with a thought that you don’t want to go to the beach in case someone makes fun of you. Negative thoughts lead to negative feelings and they bounce off each other. The more it’s repeated it becomes a belief, then our behaviors align with our beliefs. I said there were commonalities our experiences. I was not taking care of my body – I gave myself rules in the name of health but truly about wanting to feel good enough. However, because I didn’t look like I was suffering I could hide it. In contrast Bernie’s experience is not something he can hide because our society is focused on appearance, not showing vulnerability, and does not accept size diversity. So Bernie is dealing with a double battle. Bernie asked if my growth had come from caring less about other’s opinions as I grew older. I said it wasn’t a magical overnight change and took a huge range of influences like books, tools and mentors to build self compassion and a true values system of self respect and wellbeing beyond appearance. I learned to accept that I couldn’t control others’ comments on my body. It’s not my job to prevent myself getting hurt; it’s my job to recognize when it’s happened and bounce back by being good to myself. Pain is inevitable but suffering is avoidable. You suffer when you avoid the pain. I asked Bernie what the nature of his apology would be. He shared that he’d been physically abused a child and often being punished for very trivial reasons. I told Bernie this is a trauma and it’s okay if dealing with it is part of his life’s work. It’s also connected to his well-being and relationship to his body. Abuse and trauma create more intense fears and irrational processing of certain situations, making them extra difficult. Emotional eating and avoidance behaviors can also be tied back to those experiences. I invited Bernie and our listeners to think of ways that traumatic experiences have made you a stronger, more resilient person and made your life more meaningful. That is how you can find gratitude. I suggested Bernie’s apology could be about recognizing that he was doing his best to protect himself in the moment, and to acknowledge that any regrets he has about eating, exercise and avoidance were a form of protection for that little boy who didn’t have any. 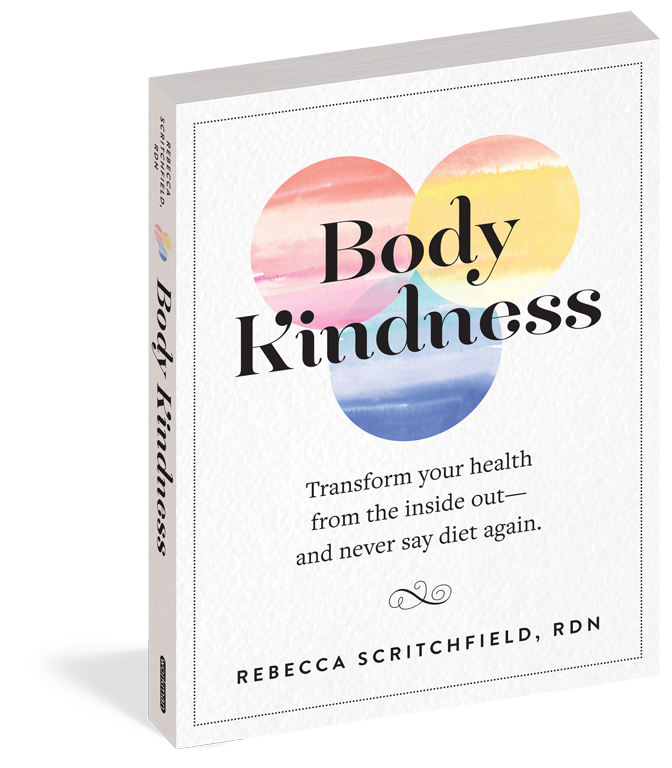 So why say sorry to your body, and how can it help our Body Kindness practice? Making peace with your inner child helps you to embrace your body as it is right now, to free yourself brick by brick and start living more fully. Bernie says his apology could help him start breaking free of his self-imposed isolation and live by his principles. He wants to be a good role model for his daughter and to joyfully engage with life. I said that doing that means engaging with vulnerability – being willing to hold the uncomfortable, gut-wrenching feeling while you do the thing that matters to you – like jumping into the ocean! Practice being the kind of man that is body confident. We beat our fears by facing them.